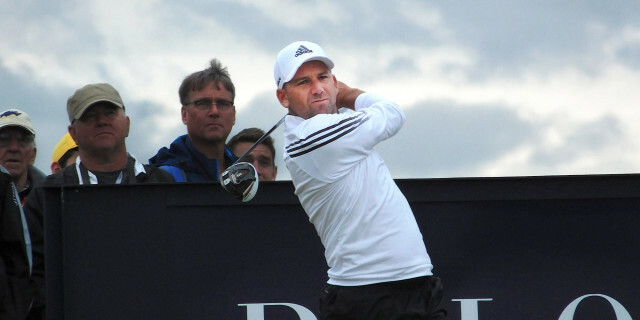 WHEN will Sergio Garcia ever grow up? The Spaniard is now 39 years old and continues to behave like a spoilt brat. His behaviour at the Saudi International, when he was disqualified for damaging five greens, was disgraceful and totally inexcusable. He was quite rightly thrown out of the tournament and immediately apologised for his behaviour, assuring his fellow professionals that it will never happen again. But it should never have happened in the first place. Unbelievably, it appears that Garcia is going to escape any further punishment. You can be certain that had it been a journeyman who had committed such an offence that the European Tour would have banned him - and would have been perfectly within its rights to do so. Remember the example that was made of Simon Dyson for tapping down spike marks? No footage has emerged, but Garcia reportedly showed no consideration for the players who followed him on the course, deliberately dragging his heels across the putting surfaces and leaving a divot on one of the greens for one of his fellow competitors to repair. It is not as if he is a first-time offender. The Spaniard was a breath of fresh air when he first appeared on the scene. Who will ever forget that incredible shot he hit from behind a tree at the 1999 US PGA Championship, running and skipping down the fairway to see where the ball had finished and revelling in the challenge of going head to head with Tiger Woods? But who will ever forget his childish performance at Wentworth a couple of months later when he kicked one of his golf shoes into the gallery after a poor drive? Or the time he decided to attack a bunker with his sand wedge after a poor recovery shot? Or the petulant behaviour when Padraig Harrington beat him in a playoff to win The Open at Carnoustie? Or his boorish behaviour when Harrington beat him again at the US PGA Championship? Or when he spat in the hole, in full view of the TV cameras, at Doral in 2007, knowing that the players coming up behind him would have to reach into that hole? For many, the worst offence of all came in 2013 during an on-stage appearance at the European Tour gala dinner, when he made reference to wanting to serve Tiger Woods fried chicken at the US Open, a remark that almost cost him his TaylorMade contract because of its obvious racist overtones. It is fair to say that Woods was not impressed and it is only recently that the pair have resumed something approaching a normal relationship. Despite it all, we continue to root for him, perhaps because many of us recognise our own frailties when we watch Garcia play. He seemed to have finally grown up when he won The Masters in 2017. He found love, got married and is now a father - what a dreadful example to set to his young daughter. He must hope that she never sees what he did in the Saudi International. 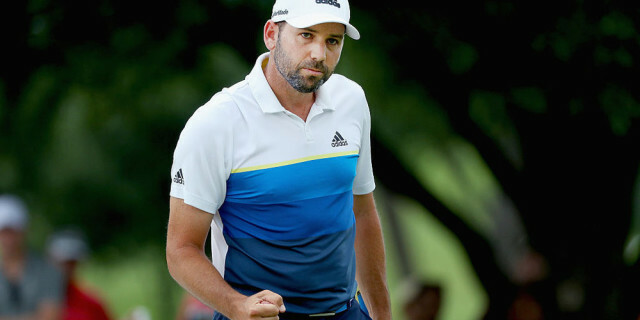 The Royal Greens Golf Club won universal approval from the world-class field but Garcia suffered on the greens. It is well known that he has endured demons with his putter for most of his career, but his brilliant iron play has allowed him to continue to win tournaments all over the world despite his putting woes. He remains one of the biggest draws in the game, a player who is looked up to by a generation of young golfers. As such, he has a responsibility to behave and set the right example. Instead, he has become the first player in European Tour history to be disqualified for misconduct. But for reasons that your correspondent fails to understand, the Tour now appears to be attempting to play down his behaviour. Even some of the players who originally reported Garcia's misconduct are saying it didn't amount to much and the Tour say the matter's been dealt with, end of story. If that's the case, why disqualify him in the first place? The act of deliberately damaging a putting surface is sacrilege and cannot possibly be justified or overlooked. There were signs of what was to come during the second round on Friday when he threw a tantrum in a bunker, repeatedly thrashing his club into the sand. The point is that Garcia keeps making mistakes and his peers seem to keep making allowances for him. It is time for somebody to sit him down and read him the riot act. It would be a tragedy if Garcia came to be remembered for his petulant behaviour rather than for what he has achieved on the golf course. Should Garcia have been banned after this offence? Let us know what you think.